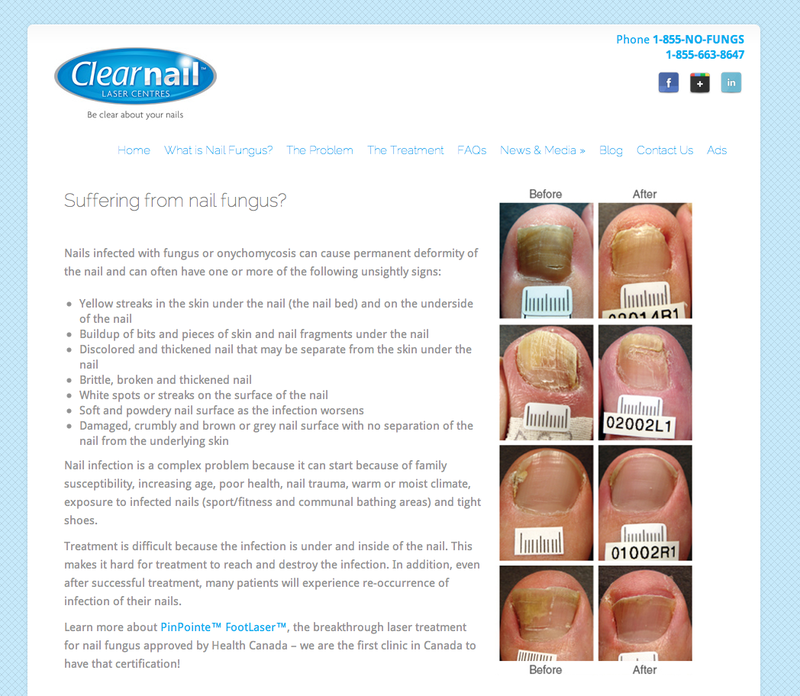 A complete re-branding and launch Campaign for Clear Nail Laser Centres. The objective with Clear Nail Laser Centres was to move them away from the competitive marketplace and create their own unique territory. We started by re-designing their logo to look more up to date and to give it a Health and Beauty look and feel. The advertising campaign uses very simple imagery of a foot giving fungus the finger. No “before” and “after” which is so common in this category. We also direct and manage their digital channels using Pay Per Click as one of our most successful tools. The advertising concept running in several different newspapers and magazines. A new logo and tag line were created for Clear Nail giving the brand a more “Health and Beauty” look and feel. For Clear Nail we manage their entire digital strategy and execution. This includes Web Mastering, SEO, Unique Landing Pages and Pay Per Click campaigns and their Social Marketing channels. Elements of the re-branding campaign.